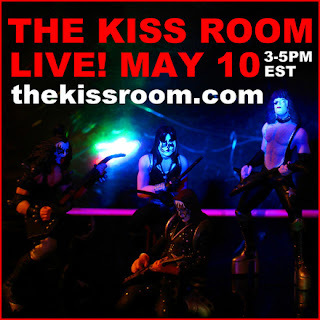 The May episode of the KISS Room is now available for streaming. The episode features Matt Porter and Chris Giordano plus special guest Richie Ranno from Starz; an Indy KISS Expo report with Andrew Sqambati from Mr. Speed; a birthday block of songs for Eric Singer, and more fun that you expect to find each month in the KISS Room!